You will look cool but feel even cooler when wearing this hat. It is a natural Madrid style string straw hat, with a loose weave design to give you plenty of air circulation. Even on the hottest day, you will be cooler than many others around you. It has a full 360 rim to provide protection against the sun. Features a pinched top and a wide band around the base, where your design will be branded. It has an elasticized interior sweatband as well help keep you dry. The hat comes in two sizes - S/M and L/XL. This is a perfect hat for any setting. It has a clean-cut look while still offering simplicity. It is great for everyday wear as well as just for recreational use. This is a great retail hat, especially in warmer or tropical areas. Where hats are needed for protection but not as much to keep warm. It would also be a great candidate as a promotional item. 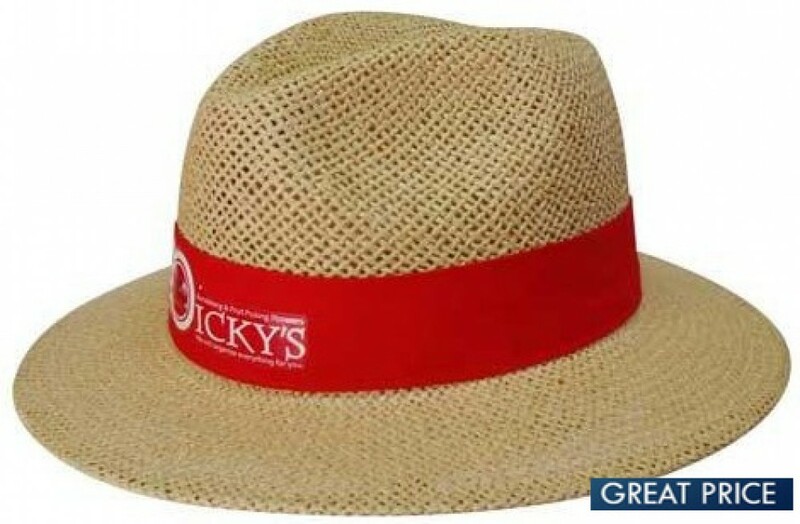 Since everyone would love to have at least one great summer hat in their collection. With our rapid turnaround and fast delivery, these hats can be at your door anywhere in Australia in two weeks or less. Our efficient couriers will deliver to all addresses in Australia. We deliver to all states and territories -- NSW | QLD | VIC | ACT | SA | WA | NT | TAS. We deliver to all locations, urban and regional. Since delivery prices vary, we cannot list a standard delivery price on our website, but the price will be shown on your free estimate.